Oroville Washington is located 4 miles south of the Canadian Border on Highway 97. The green pastures and orchards of the valley floor are contrasted with the rugged cliffs and glacial features of the Okanogan country. 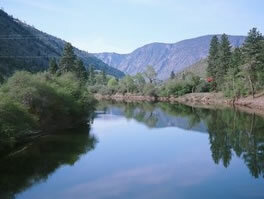 There are many available activities in our area including camping, fishing, boating and all kinds of water sports. During the winter months there are opportunities for snow sports of various kinds. In our surrounding area there are hiking, biking and horseback trails, such as the Similkameen Trail, Whistler Canyon Trail and a vast amount of ATV trails. In addition , there are museums to visit, local wineries for wine tasting, and there is a challenging and scenic 18-hole golf course. Much more visitor information can be found by clicking on the link below "Visiting Oroville." For PUBLIC NOTICES (job opportunities and other important info) please click on the link below "More Notices"